Today the world-famous Newman Scoring Stage at 20th Century Fox was filled with music to Michael Bay’s latest action thriller, The Island. Composed by Steve Jablonsky, the film takes place in a futuristic society where the rich can pay to have a human clone made in case they need their spare body parts for medical reasons. The clones are kept isolated from the rest of the world, believing it to be uninhabited due to some disaster, except when one of them "wins" the lottery to be taken to "The Island" – a paradise of sorts. In truth, that means some part of the clone is needed – and they are then used, and destroyed. Lincoln (Ewan McGregor) is a clone who discovers the horrifying truth of "The Island", and along with Jordan (Scarlett Johansson), tries to escape. Conducted by Blake Neely, the score is mostly electronic, with string, brass, choir and solo instruments adding to the palette. 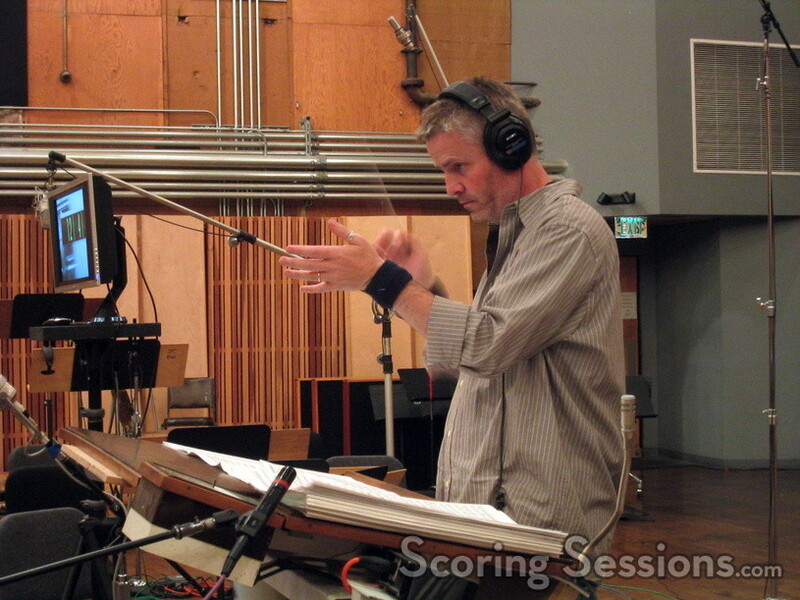 An emotional and lush main title cue was the first item recorded, and as they progressed through the score, Neely explained – in his wry and humorous manner – to the session players what was happening on screen so that they would understand where the music was coming from. 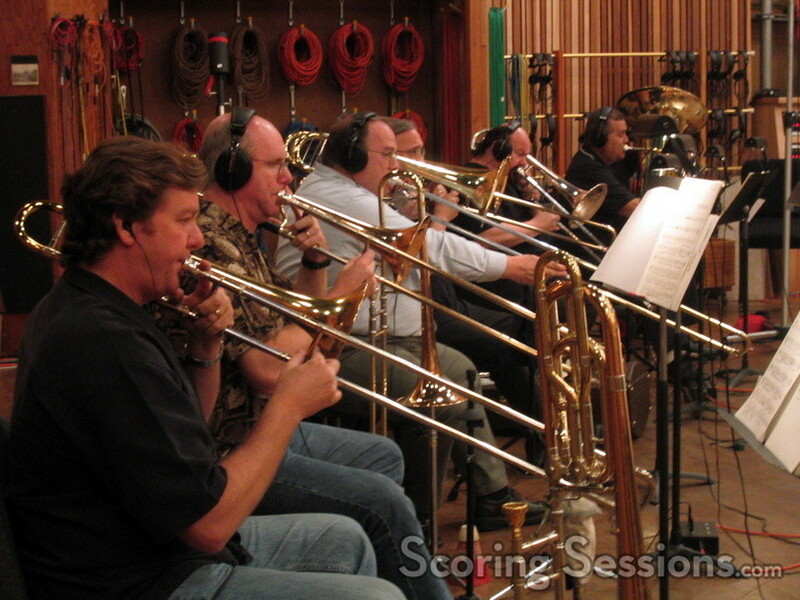 The brass players perform the "Main Titles"
During the day, the strings were recorded, with the brass recorded in the evening. By keeping the strings, brass, and choir all in separate sessions, score mixer Alan Meyerson will have better control over the final sound. With a lot of electronic elements to keep track of, he’s got his work cut out for him! 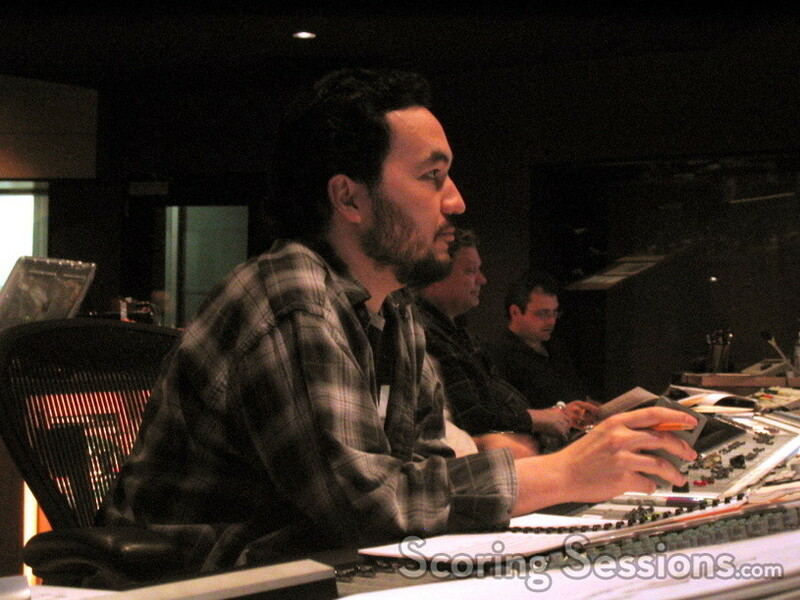 Jablonsky sat behind the console, next to Meyerson, giving feedback and notes on the various cues. 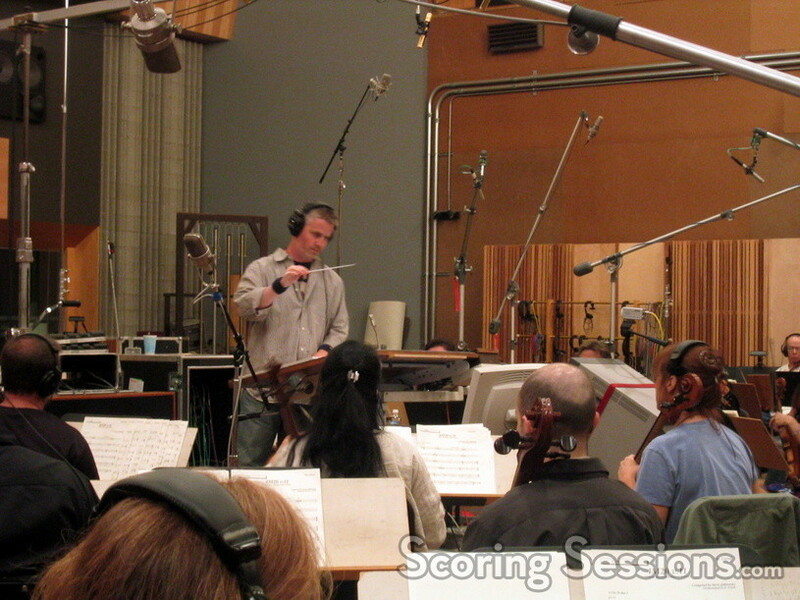 Kevin Globerman managed the ProTools rig, while music editor Dan Pinder keeps track of the 100-minutes of score. There are at least two more scoring dates coming up soon, and readers (and fans) should look for a soundtrack release on Milan Records in July around the time of the film’s release.